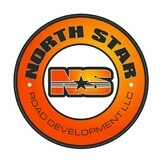 North Star is a 4th generation family owned Paving company specializing in any new asphalt installation to repair and maintenance, who offer many services and alternatives to the normal asphalt driveway as well. We strive to satisfy each and every customer to the best of our ability. Our vision is to provide our customers with the best finished product possible. We use the best products available and there are no shortcuts in any of our work. We do Blacktop Driveways, Parking Lots, Sealcoating, Excavating, Tar & Chip, Maintenance Repair & More! Whether you prefer asphalt, concrete, or masonry, rely on Highland Construction, LLC. in Bear, Delaware, for all of your paving needs. Established in 2001, our paving company provides efficient, quality service for residential, commercial, and industrial clients throughout New Castle County. While most companies have a singular focus, we work with a variety of materials to simplify your search for a concrete or asphalt contractor. Our experienced staff operates with integrity, following the lead of our owner, Edward, who is present on each job to assure a job well done. In addition to our paving services, we also provide material hauling and dumping. At Wilmington Paving, we provide professional asphalt paving solutions for commercial and residential clients throughout Wilmington, DE. Our paving contractors offer fast and professional service at an affordable price. We are a top rated paving company near you in Wilmington, and we offer trustworthy and reliable paving services. Whether you need your private driveway resurfaced or require professional commercial asphalt paving for your parking lot, we can help. For a free estimate for your property, simply reach out to us and get your free quote today. At Vineland Paving, we provide premium commercial and residential paving services throughout Vineland, NJ. Whether you’re looking for a paving company near me in Vineland, or simply looking for a professional paving contractor to assist with repairs, we are happy to help. We specialize in resurfacing, asphalt installations, parking lot paving, and driveway services. Our top-rated paving contractors are insured, bonded, and licensed. For a free estimate, reach out to us soon! Easmunt Paving, Inc. provides South Jersey Asphalt, Paving, and Blacktop Services for Residential, Commercial, and Industrial clients. As a full-service paving contractor, we specialize in paving and offer a number of services custom designed to meet your needs, including: Asphalt Paving, Blacktop, Milling, Grading, Line Striping, Infrared Heating Services, Rubberized Crack Sealing, and Bumper & Sign Installation. Homeowners in Stone Harbor often don’t realize just how important a driveway is when it comes to curb appeal; it’s one of the first things guests see when they arrive and one of the last when they leave. So if your front drive is damaged or you want to switch from, say, a gravel driveway to an asphalt one, hire a Stone Harbor, NJ driveway installation and maintenance professional to help you create your dream driveway. From installation to repair, Stone Harbor, NJ driveway contractors are responsible for a variety of planning, installation, construction and driveway maintenance services. Driveway materials. While most driveway contractors in Stone Harbor, NJ primarily work with asphalt, they are also experts on the wide range of available driveway materials. If you are looking for something different than a standard asphalt driveway, your pro can help you select driveway pavers or customize a brick driveway design. 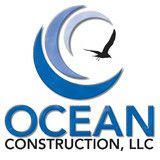 A driveway installation and maintenance professional may work closely with a Stone Harbor, NJ builder, landscape professional or various manufacturers and suppliers. 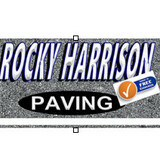 Find a Stone Harbor, NJ driveway installation and maintenance professional on Houzz. Narrow your search in the Professionals section of the website to Stone Harbor, NJ driveway installation and maintenance. You may also look through Stone Harbor, NJ photos to find examples of driveways that you like, then contact the professional or contractor who worked on them.